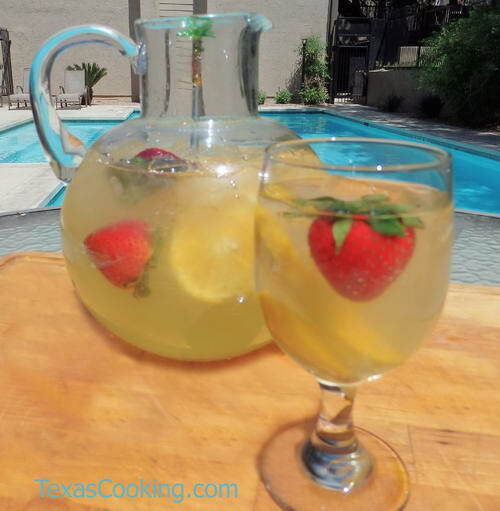 Cold, refreshing and lovely to look at, let White Sangria be the star of your next brunch or gathering of friends. This recipe can easily be doubled for a crowd. Mix all ingredients except champagne or club soda. Add champagne or club soda just before serving. Note:For the wine, choose a nice neutral (not dry) white, such as Chenin Blanc, Chablis, Viognier or even a Piesporter.